The Women's Business Council — Southwest (WBCS) named Anderson Asphalt and Concrete Paving the Women's Business Enterprise (WBE) of the Year for the 5 to 20 million dollars in revenue category. This award recognizes a woman-owned business that exemplifies outstanding business acumen, industry leadership, community service and a commitment to doing business with fellow WBEs. The 2019 WBCS award winners were unveiled at the annual Parade of Stars Awards Gala on Jan. 31 in Dallas. "I am so honored to receive this award and be recognized in this way," said President Pam Thompson. Led by Thompson, Anderson Asphalt and Concrete Paving believes in solid, modest growth and partners with fellow WBEs to achieve it. Efficiency, coupled with the highest quality work in the industry, brings their clients back time and time again, according to the company. 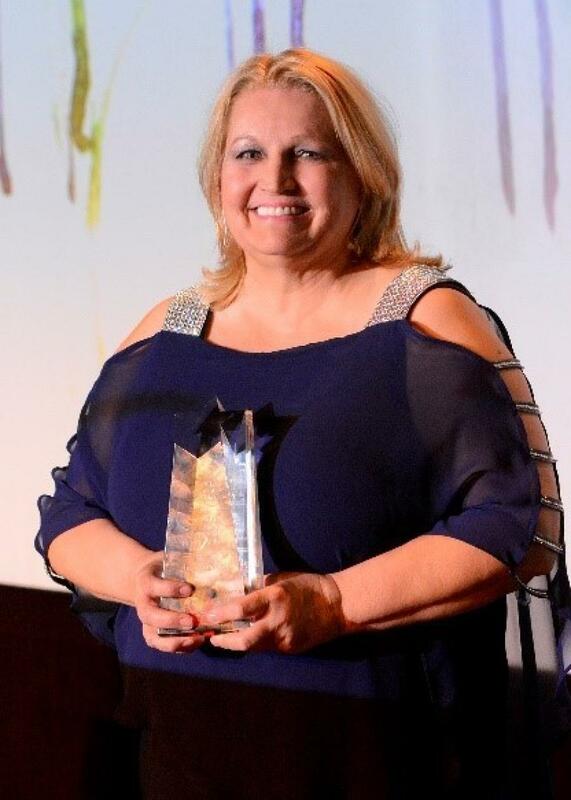 "Congratulations to Anderson Asphalt and Concrete Paving for winning one of our highest awards, WBE of the Year," said Debbie Hurst, president of the Women's Business Council — Southwest. "Our award winners are those who go above and beyond to support the Council and the mission of growing women-owned businesses and I cannot wait to see how Anderson Asphalt continues to grow in the future." Anderson Asphalt & Concrete Paving, founded in 2008, has been certified as a woman-owned business enterprise (WBE) by the Women's Business Council — Southwest since 2009. The company is a full-service paving company for construction, repair, recycling and replacement of existing roads and parking lots. It works on industrial, commercial, professionally managed properties, institutions and municipalities throughout Dallas – Fort Worth, Texas, and surrounding areas. Its specialties include asphalt and concrete paving, curb and gutter, sidewalks, ADA installation or modifications, striping, sealcoating and crack fill. For more information, visit http://aacpaving.com/. Headquartered in Irving, Texas, the Women's Business Council — Southwest (WBCS) is dedicated to increasing mutually beneficial procurement opportunities between certified woman-owned businesses, corporations, businesses, government entities, institutions and other organizations. With more than 1,100 Women Business Enterprise (WBE) Members and over 75 Sustaining (Corporate) Members, WBCS is in its 24th year of providing national certification to women-owned businesses. WBCS administers the national certification on behalf of the Women Business Enterprise National Council (WBENC) for north and central Texas, Oklahoma, Arkansas, and New Mexico. For more information, visit http://www.wbcsouthwest.org.